During SGDQ 2016, the charity speedrun event to benefit Doctors Without Borders, speedrunner Blood Thunder saw his BioShock playthrough get a sudden interruption: a Windows 10 update. You can watch what happened next here. But, as Eurogamer points out, Blood Thunder was actually trolling organizers Games Done Quick (and Microsoft?) with a tongue-in-cheek prank. The faux Windows 10 update was edited into the cutscene. 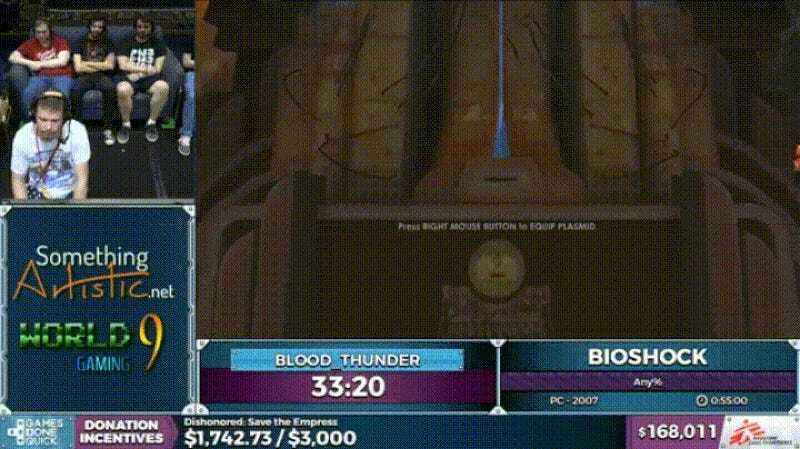 Blood Thunder finished the rest of his speedrun free of hijinks and at a brisk time of 51 minutes and 54 seconds.